I think the most difficult wildlife field guide to get would be a book about insects. Sure, we can find books on Butterflies, Dragonflies, Moths and Beetles, but what about the thousands of other just as interesting bugs and crawlies? Well, as far as I know, no such book can exist. There is just too many different species. However, I did come across an insect field guide that I find very helpful. 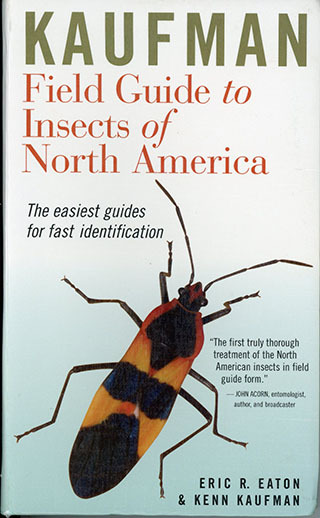 It’s the Kaufmann Field Guide to insects of North America. It’s small and light enough to take out in the field and it packs quite a lot on information in its 392 pages. My copy is well used with dog-eared pages and bent cover. It’s my “go to” book for trying to zero in on an insect species. Once I think I have it narrowed down, I can further search on the internet for more information. 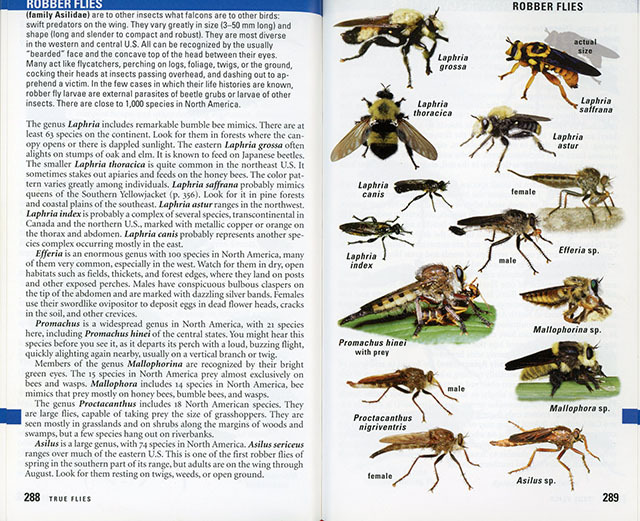 No book can come close to listing all 90,000 species of insects in North America, but this one provides over 2,300 digitally enhanced photographs of the most common species with size guides and accompanying notes. It includes all the major groups organized in a very useable fashion. Finding what you are looking for is surprisingly easy under the circumstances. This book is not designed for the expert entomologist, but more for the nature enthusiast and/or photographer who find insects fascinating and wants to learn more. I don’t use it for butterflies, odonata or beetles as I have more defined books for those, but for all other insects, this is the perfect starting point and it’s often as far as I have to go to identify most of those unique six-legged invertebrates.